Russian fertilizer mogul Dmitri Rybolovlev bought Donald Trump’s Palm Beach home for $95 million but now plans to destroy it. The Russian mogul bought the 33,000-square-foot mansion in 2008 but now, due to mold damage, plans to tear it down. 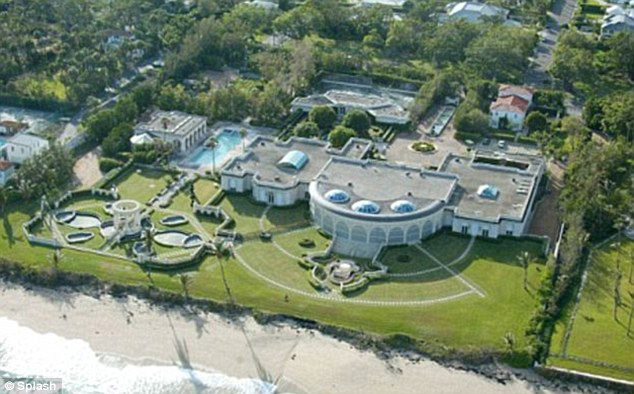 The 7-bedroom mansion sits on a 6.26-acre property and includes a 475-foot-long beach. Trump bought the home in 2004 for $41.4 million and spent two years renovating the mansion before enlisting Kendra Todd, season 3 winner of NBC’s “The Apprentice”, to help him put it back on the market. Apart from its 7 bedrooms and beach, the mansion also sported marble floors, bullet-proof windows, mahogany doors, giant skylights, a full-sized ballroom and a garage that could accommodate 80 cars.